The Darwinius masillae / Ida fossil as the link to uncovering our earliest ancestors? Was Ida / Darwinius masillae one of our earliest ancestors? After two years of secretive preparation full details of the project that became the Darwinius masillae / Ida fossil study were given at a fanfare launch at the academically prestigious American Museum of Natural History on Tuesday, May 19, 2009, arrangements also having been put in place for an associated TV special, entitled " Uncovering our earliest ancestor : The Link ", to be rolled out world-wide. Also announced were an associated book, entitled "The Link", and a high-powered web site. It became clear that the Darwinius masillae / Ida fossil had been under expert scientific scrutiny for some two years after having been purchased by the University of Oslo from a private fossil collector. During those two years, although rumours of the discovery of a spectacular primate fossil were circulating amongst specialists in the field, the general public was not informed of these developments. How far is all this hype justified? Will the study of the Darwinius masillae / Ida fossil provide sufficiently far-reaching results in the way of uncovering our earliest ancestors, and their places on the primate family tree, to justify Ida being referred to simply, and in just so many words, as - The Link? The project apparently had its origins in December, 2006, at a mineral and fossil fair in Hamburg where Dr. Hurum got into conversation with a private fossil dealer named Thomas Perner who was already known to him and who, over fruity vodka drinks, showed him a few photographs of the fossil, which had been found at Messel Shale Pit in 1983 and had subsequently been hanging on the wall in the house of a German collector. The Darwinius masillae fossil has been described as the “most complete fossil primate ever discovered,” lacks only the lower left limb, and due to the special conditions prevailing at Messel Pit impressions of Ida's fur and of her soft body outline are discernable - the remains of her last meal - comprising fruit and leaves - have been detected in the stomach cavity. 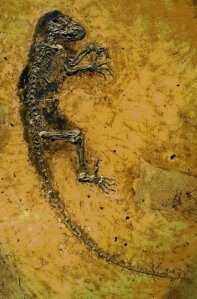 The researches have concluded that this fossil was that of a lemur-like creature that was "not simply a lemur" and that its discovery "is going to advance our knowledge of evolution". It would seem that this extraordinary fossil “is important in being exceptionally well preserved and providing a much more complete understanding of the paleobiology” of a primate from the Eocene period. The Greek derived word, Eocene, actually translates as the "New Dawn", and it is in the Eocene that larger mammals are believed to have made their first appearance. A particularly important clue to her eventual placing in terms of the primate evolutionary tree may arise from the very completeness of this fossil if researchers are ultimately able to discern whether or not this fossil was of a creature that had a "wet" nose. The Darwinius masillae / Ida fossil has been dated as being from an early primate that lived all of 47 million years ago. That is rather a long time back in the past. 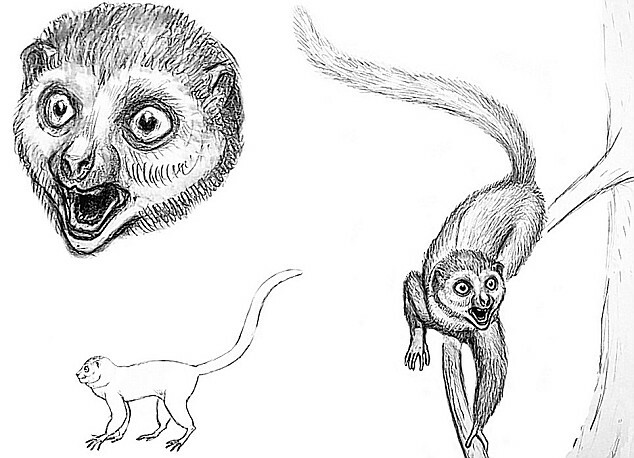 The first primates lived some 55mya from which time the Haplorrhines and the Strepsirrhines were diverging. Whilst the Strepsirrhine branch ultimately produced today's Lemurs, bushbabys, and Lorises the the Haplorrhine branch itself re-branched many times. 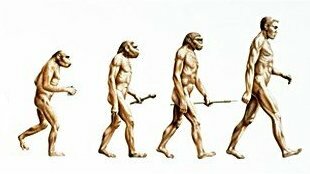 Resulting from these re-branchings monkeys are dated to 40mya, gibbons to 20mya, gorillas to 8mya, chimpanzees to 5.4mya and early hominds to 4mya, the famous "Lucy" fossil to 3.2mya, and modern Homo sapiens to .2mya. In the context of such a long-lived and deep-rooted primate family tree it is perhaps justified to suspect that there could be future uncoverings of other, even more relevant, fossils.